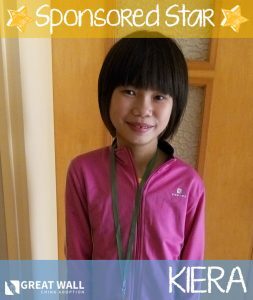 Kiera Is Our Newest Sponsored Star! Meet Kiera, GWCA’s Sponsored Star for May! This sweet girl is Kiera! She 13 years old and will be aging out THIS MAY. She is an amazing kiddo in need of a forever family. Her file states that she had intracranial hemorrhaging, but she has had surgery and is doing great. She lacks some mobility in her left hand, but other than that her mobility is fantastic. Kiera loves to run, jump, and play with her friends. She has excellent verbal communication and is even taking English classes. Her caretakers mention that she is not delayed on her cognitive skills and is on target compared to her peers. She is a sweet girl who would thrive with a forever home! Please reach out if you would like to learn more. As our Sponsored Star, Kiera has a $2,000 grant available towards her adoption fees! 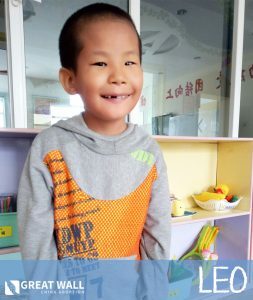 If you are interested in seeing Kiera’s file or learning how you can be matched with her, visit our China Waiting Child Photo Listing or contact our China Matching Team today!